Learn World Geography with Pictures! People in Poland speak Polish. 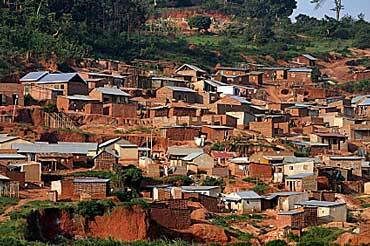 Kampala is the capital of Uganda. Uganda is in Eastern Africa. People in Uganda speak Swahili and English. Santorini is a group of islands in Greece. Greece is in Southeastern Europe. 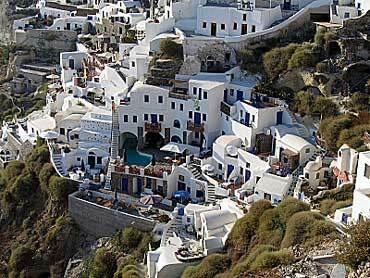 Santorini's volcanic islands are in the southern Aegean Sea, about 160 miles (200 km) south-east of Greece's mainland.